Use the ClearCheckbook Debt Snowball calculator to help you pay off your debts faster! The Debt Snowball method is a debt payment plan that has you pay off your smallest loans first. When you pay a debt off, you take the money you were paying toward that one and add it to your next debt. The idea is that the amount you're paying toward your debt acts like a snowball and gets larger and larger as time goes on. The Debt Snowball method is one of the primary methods of debt removal taught by many financial and wealth experts. 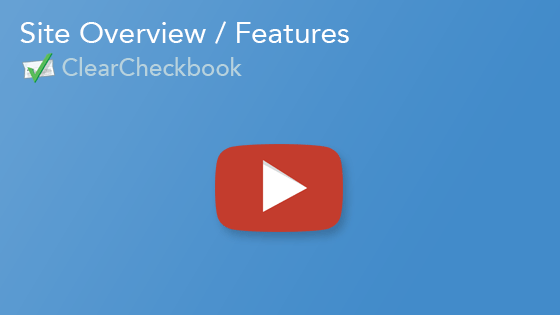 You can use the ClearCheckbook Debt Snowball tool to help you get out of debt. 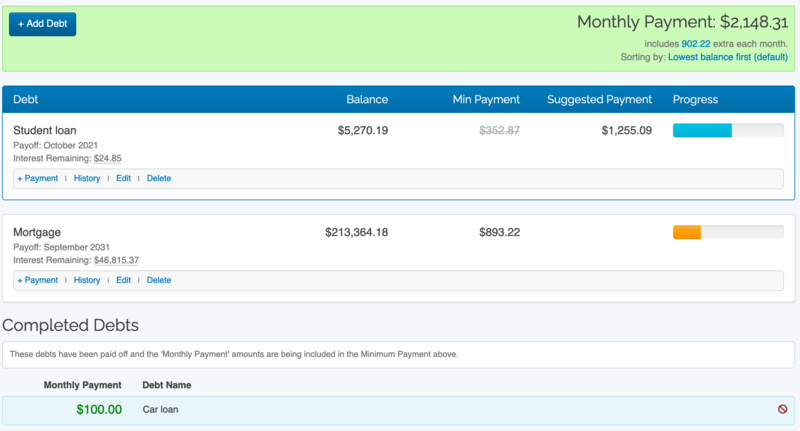 The Debt Snowball tool will tell you when your various loans and debts will be paid off if you stick to the plan, plus how much interest is remaining to be paid on each loan. This tool will also help you see how adding a small additional payment each month toward your principal can really help reduce the amount of interest you owe on each debt. Since you're paying the most interest at the beginning of a loan, it's best to try and pay off your loans as quickly as possible. Our Debt Snowball tool will help you visualize your payoff dates and interest owed by letting you change the amount you're paying each month. The Debt Snowball method is all about consistency. As long as you stay dedicated to paying at least your minimum payments each month then this tool will help you stay on top of your debt. The Debt Snowball method has a large proponent in Dave Ramsey who teaches this method of debt repayment. Use our sample Debt Snowball Calculator below to see how using the Debt Snowball method can help you save money on interest and pay off your debts faster. Enter your debt information and any additional money you can apply to your monthly payments and we'll show you how using the Debt Snowball method can help you save money in interest and help pay off your debts faster. Instructions: Find the current balance, interest rate and minimum monthly payment for each of your debts and then enter them into the table below. We'll show you how much interest you'll pay and how long it will pay off each loan individually. After entering your debts, let us know how much extra money you can apply to your monthly payments and how you'd like your snowball calculated. We'll calculate how much money you'll save in interest and how long it will take you to pay off your debts. The Debt Snowball Calculator you'll have access to after joining ClearCheckbook will remember all of your debts and give you the ability to add payments to your debts. This sample debt snowball calculator is meant to show you how the debt snowball method works and limits the number of debts you can enter to 10.